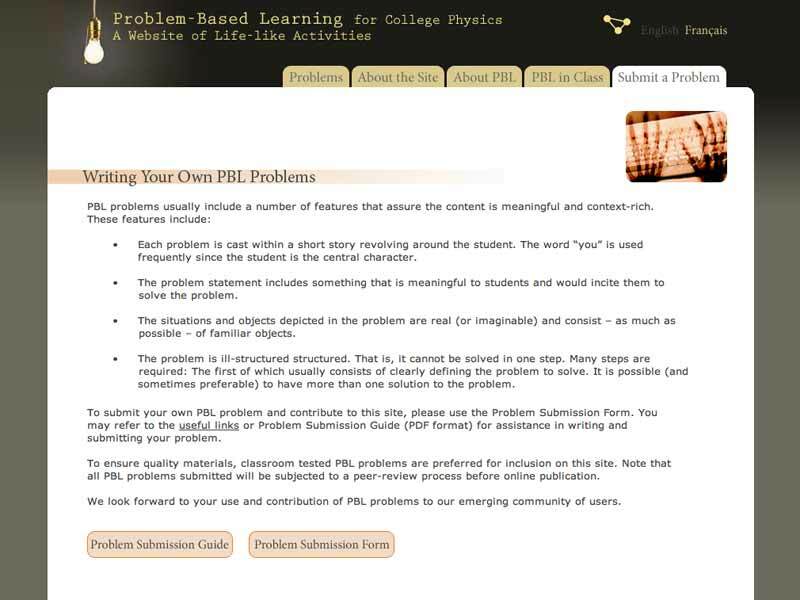 The purpose of this site is to provide college teachers with high-quality, field-tested problem-based learning (PBL) activities in physics. Teachers may be interested in using the approach, but lack the time to develop thorough, context-rich problems. 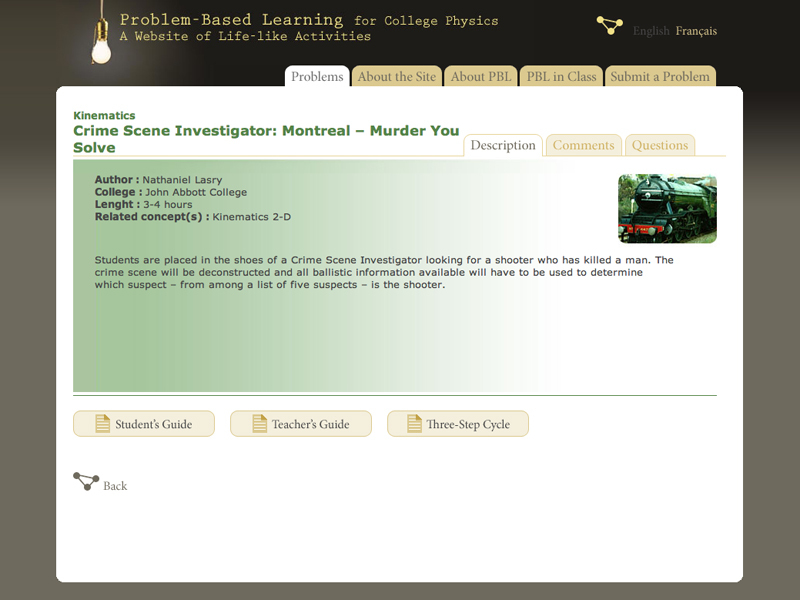 Each activity has already been used within Québec college classrooms. 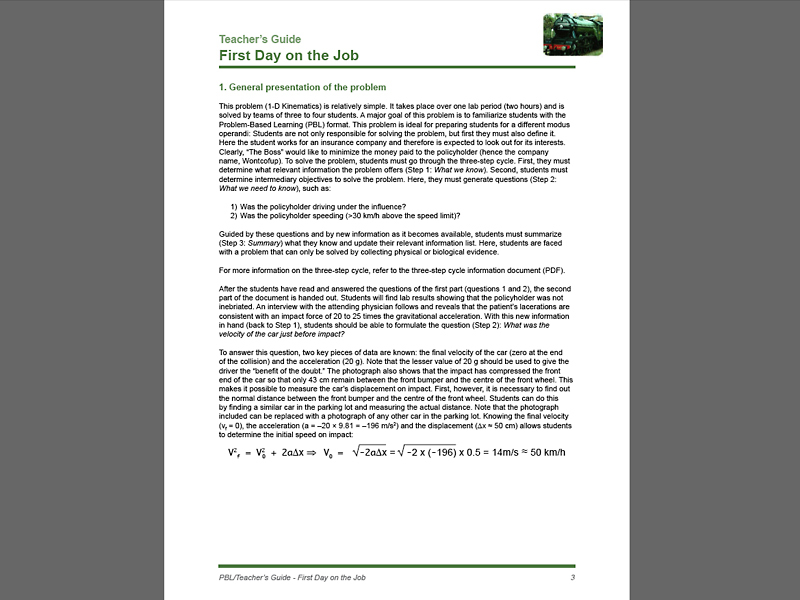 A student’s guide and a teacher’s guide are provided for each problem. 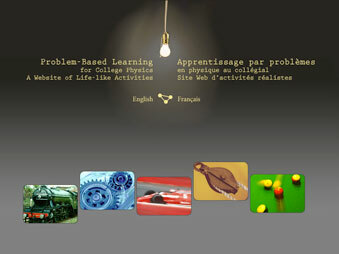 The website was originally designed by Nathaniel Lasry, a physics teacher at John Abbott College. Several authors have contributed to the website since it was first launched in fall 2008. Olivier Tardif-Paradis, Mathieu Riopel and Alexandre April, physics teachers at Cégep Garneau, are the authors of 10 new problems. As of summer 2016, the website offers 34 activities covering different basic concepts from the three physics courses in the Science program: Mechanics (16), Electricity and Magnetism (9) and Waves, Optics and Modern Physics (9).